Enjoy an overnight layover in Manila in standard studio or deluxe accommodation, and explore Makati and Old Manila on a half-day sightseeing tour. Meet your private guide in the morning or afternoon and travel by air-conditioned car through diverse districts including the City of Makati, Forbes Park and Ayala Boulevard. Learn of World War II history at the American Cemetery and War Memorial. 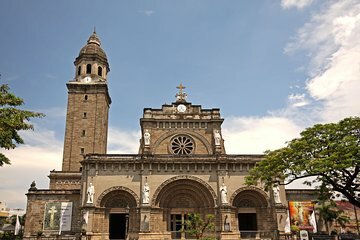 Take in Roxas Boulevard and Luneta, and admire the UNESCO–listed San Agustin Church in the Old Town. This semi-independent experience includes breakfast and round-trip airport transfers. Both the transfer and the tour were excellent. The plane was slightly delayed, approx 45 mins, however the person was waiting at the airport at the agreed location with a board with my name of it, couldnt have been easier, taken to the hotel. While I was checking in, the guide and driver were there ready for my tour, he told to meet them when I was ready, offered to stop so I could grab some food. The guide spoke brilliant English, so all in all a lovely few hours visiting the sites in Manila. As a solo female traveler I never felt intimidated. Very convenient being picked up at the airport but wish I would have known they pick up outside the doors. The hotel stay at Y2 was very comfortable, however, there was a problem with the wifi when I was there but the hotel tried to fix the problem right away.